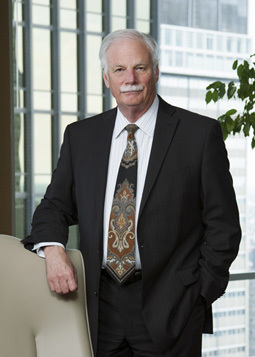 Al Kroemer’s practice is concentrated in complex business litigation. He joined Cantey Hanger in 2004. Tried and arbitrated numerous cases in state and federal courts, both in Texas and around the country in such diverse areas as oil and gas, environmental impairment, real estate, insurance and reinsurance, securities, products liability, professional malpractice involving architects and engineers, insurance agents, and brokers, real estate agents and brokers and directors and officers’ liability. Represented clients in administrative matters, including OSHA commission hearings and appeals and various state securities boards. Prior to attending law school, Mr. Kroemer was a structural engineer in the Experimental Engineering Department at Pratt and Whitney Aircraft Division of United Technologies Corporation, where he performed structural engineering on advance designs of gas turbines (jet engines), primarily for military aircraft. After graduating from law school, Mr. Kroemer was employed by the United States Department of Justice Antitrust Division in the Attorney General’s Honors Program. He served for five years in Atlanta before moving to Dallas in 1975 to help open the Division’s new regional office where he spent another five years. As a Senior Trial Attorney for the Antitrust Division, Mr. Kroemer was in charge of a number of high profile antitrust prosecutions, ultimately becoming responsible for some of the largest and most complex cases in the Division, including the corrugated container case in Houston. Since leaving the Antitrust Division in 1979 for private practice, Mr. Kroemer has been involved in several major directors’ and officers’ liability actions and securities fraud suits involving billions of dollars in claims with hundreds of depositions and millions of documents. These cases have often involved multinational corporations with parties from several countries including Mexico, Canada, and the United Kingdom. Has also tried cases for many Fortune 1000 companies. Has represented insurance companies, including ACE, Allstate, State Farm, The Hartford, CNA, Underwriters at Lloyds, and various aviation insurers; major independent oil companies, including Denbury Resources, Kerr-McGee Corporation and Anadarko Petroleum Corp.; banks, including Wells-Fargo and U.S. Bank; as well as agribusinesses, like Conagra, and many others.